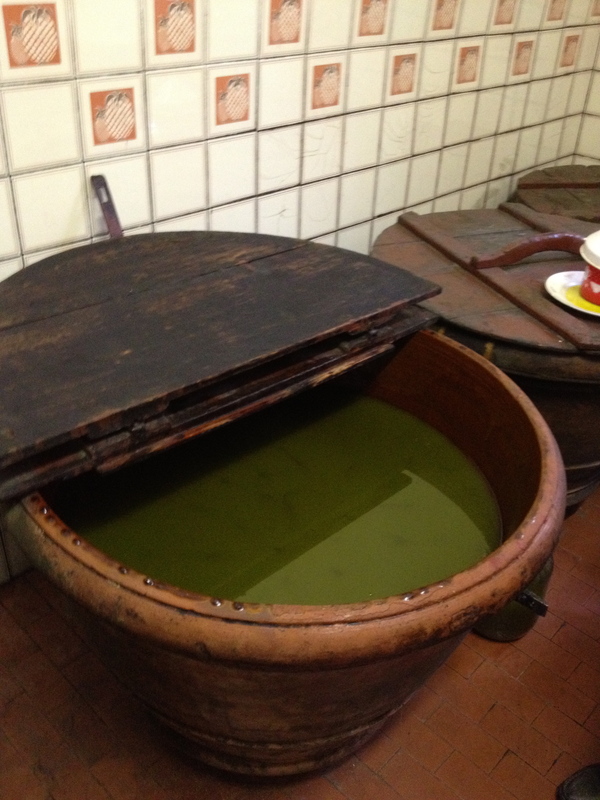 As long as I can remember olive oil has always been a part of my life. My Greek grandmother used it for cooking pretty much everything and the smell of the oil in her aluminium frying pan, which I still use, awakens both memories and ghosts from my subconscious. Back in the early 1960s when I was young the oil was bought in small bottles from the chemist, where it was sold primarily as an aid to melting recalcitrant earwax. 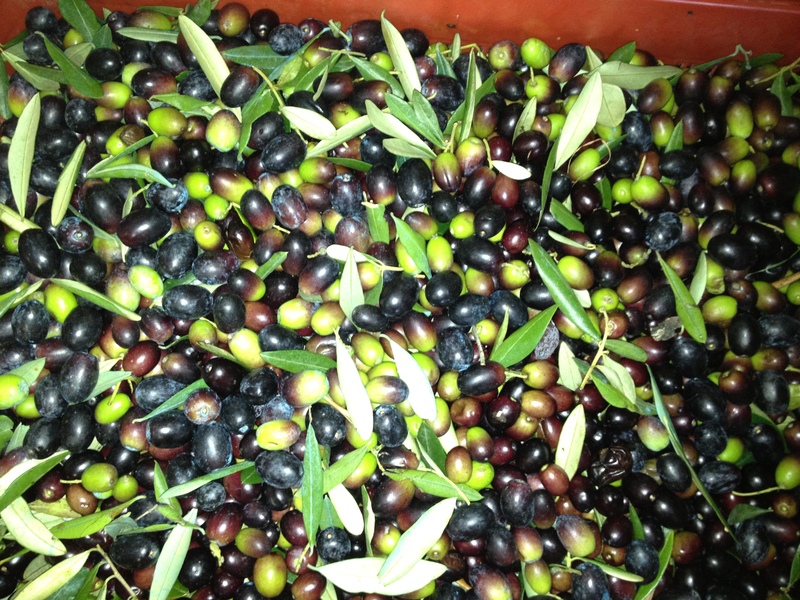 Somehow I had never really made the connection between the olives on the trees that pepper the landscapes of the southern Mediterranean, and the oil that lubricated so pleasurably much of the food that I eat. 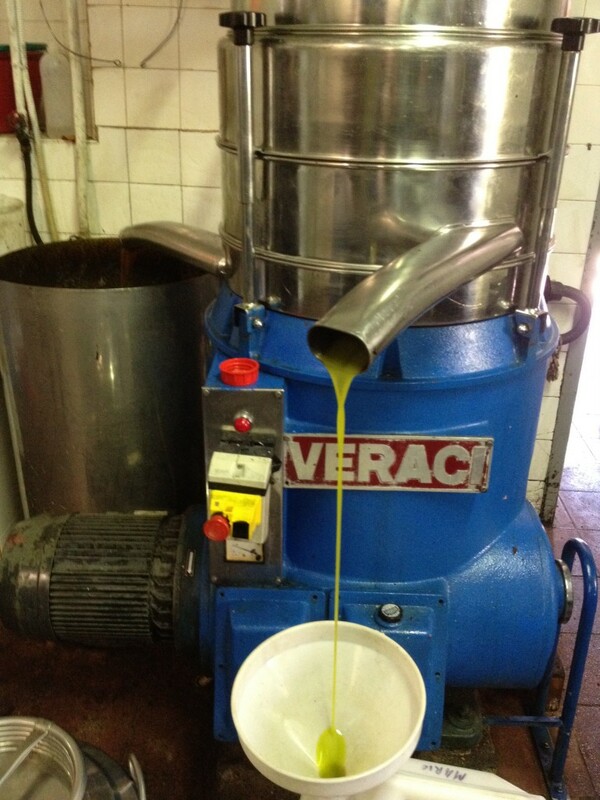 When our guide to Tuscany Michela Ricciarelli offered Fiona from the London Unattached blog and myself the opportunity to visit a traditional olive oil press it was something we couldn’t pass up. Miki had arranged for us to visit a traditional press owned by a redoubtable eighty year old woman called Iolanda, one of the several Tuscan eighty something food heroines that we encountered on our trip; so leaving our beautiful farmhouse Il Monte behind we set off to meet Miki on the outskirts of Quarrata near her home town of Pistoia in our trusty Fiat 500. We found out that the press was used by all the locals who would pick there olives either by hand or using mechanical strimmer-like devices with huge green nets placed beneath the trees to catch the bounty. 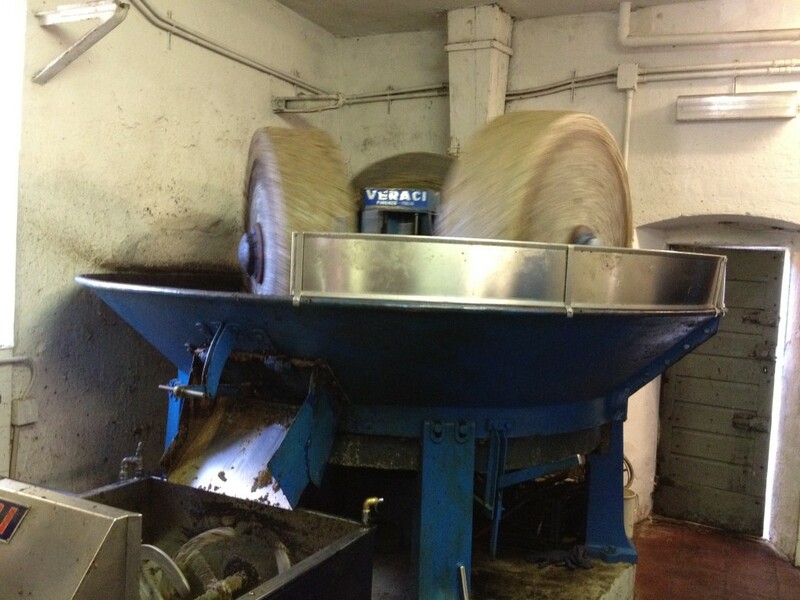 The mill was clearly ancient and whilst it was part automated, much of the work was still done by hand. The olives were put unwashed into the Crusher which had huge stones hurtling around like a neolithic fairground attraction, and and leaves left in just added to the peppery flavour of the oil. 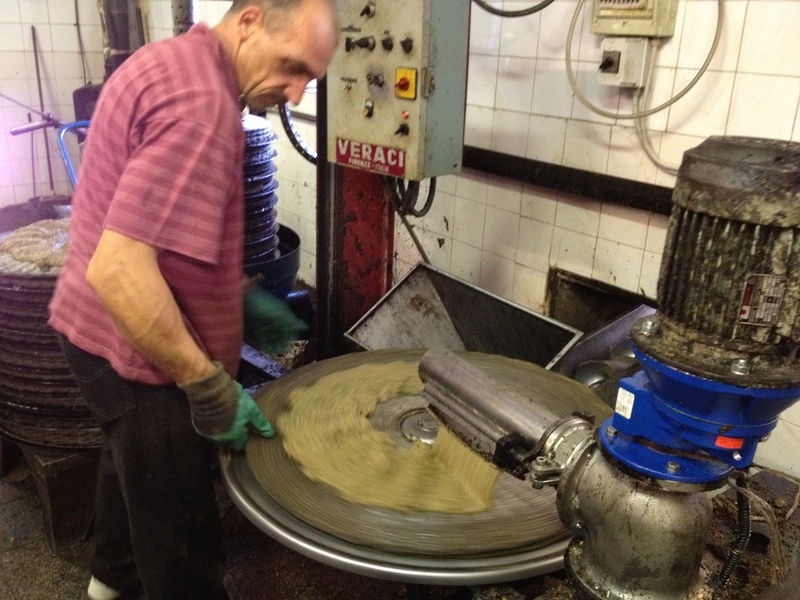 The crushed olives would then slide into the mixer…. 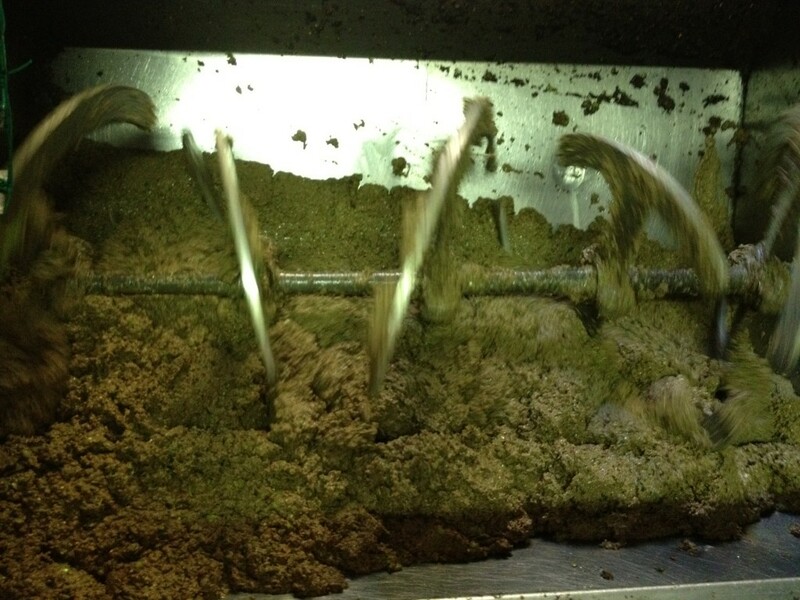 and then into the press itself out of which the oil emerges which is then spun in a centrifuge to separate out any residual water. to be stored in giant vats. 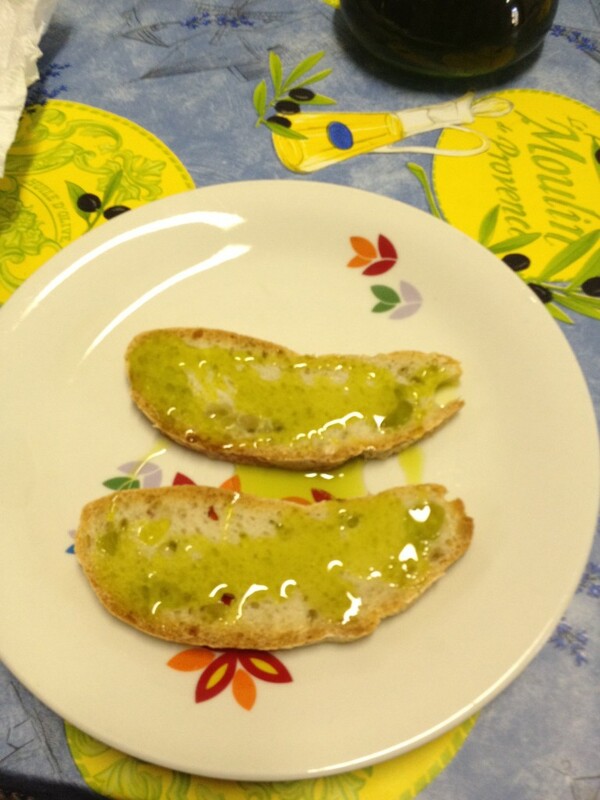 This is the Olio Nuovo. Lighter, greener and fresher than the oil we are used to in the UK. It was delicious and is greatly prized by the Italians. Iolanda, The Hedonist and the Oil! 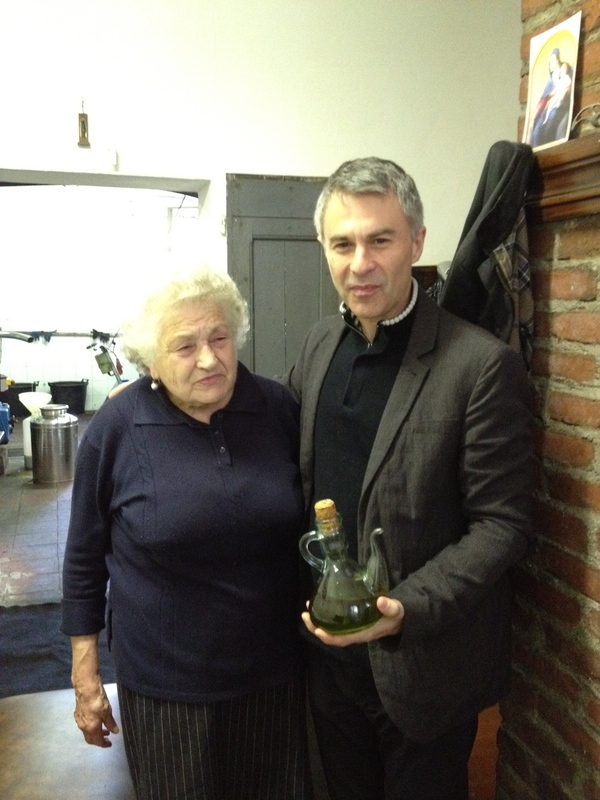 I have a feeling that when this generation of food ‘nonnas’ passes on there may be a vacuum left in the Tuscan food ecosystem. So take the opportunity if you can to visit and support them and these living traditions while you can. A huge thank you to Michela Ricciarelli for giving us the opportunity.